An all time favourite, this retro mod lanpshade is a real winner. The screenprinted pebble design with dotted stitched detail is an original design classic. 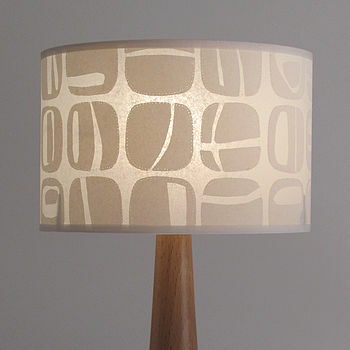 A lampshade to brighten up the living room with it's subtle shade of cream and timeless style. 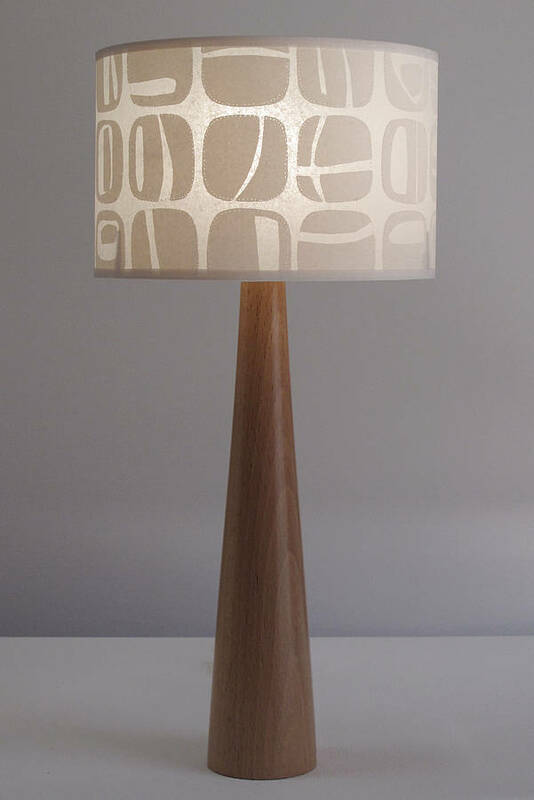 Easy to fit into most interior colour schemes and teamed with your own choice of base, to make a mid century style table lamp. 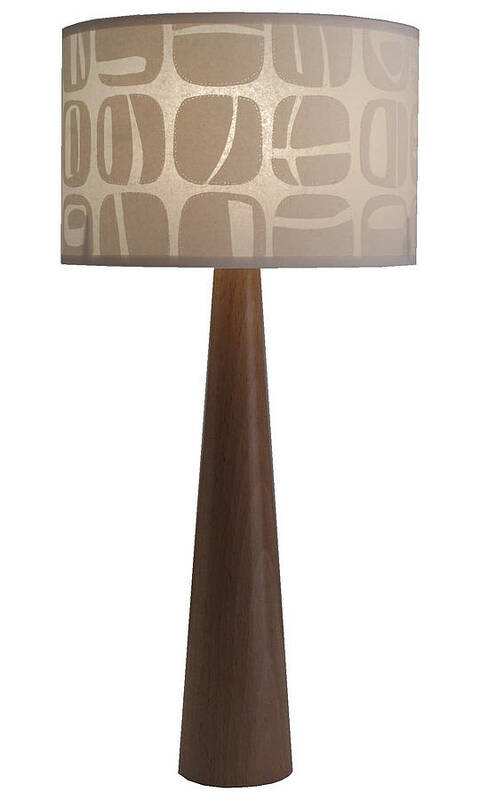 This drum lampshade can be used as a table lamp or pendant. As a pendant it would be suitable for small to medium sized rooms or spaces with low ceiling heights. Translucent laminated fine paper with opaque cream print, screen printed by hand with non-toxic waterbased ink in our London studio. This product is dispatched to you by Helen Rawlinson.